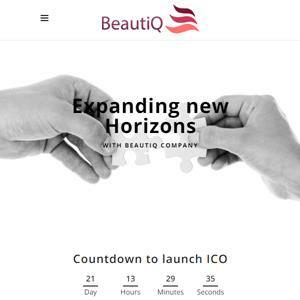 BeautiQ is a Bulgarian start up. The company was created by a team of experts in E-commerce and Supply Chain with more than 15 years practical experience within Russian, Ukrainian and European markets. The aim of BeautiQ is to create and establish a \\\"one stop\\\" solution that incorporates all aspects of marketing, fulfillment, delivery customer service for FMCG products from Central and Eastern Europe within China.